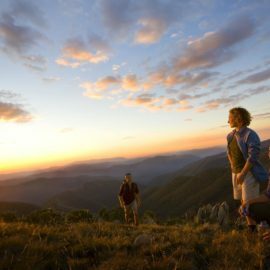 An Alpine Holiday just for YOU – This relaxed, high altitude village of over 300 private chalets snuggled between the snowgums, offers the perfect chance to take some time out with as much or as little adventure as you like. Offering year round activity both inside or out, lux or laidback, high energy or low key, you really can create a break that is perfectly YOU! What's so different, so special, about Dinner Plain? Relax by the fireside, wine and dine, or during the winter months spoil yourself with a visit to the Onsen Retreat and Spa. Indulge in the unique experience that Dinner Plain has to offer all from your doorstep; explore the many cross country trails, head out on snow shoes through the bush tracks and trails, or take the entire family to the Snow Play area at Cobungra Platter with snow tubing, tobogganing, snow play and the ski slope there is something for everyone!